!Another fun worksheet to kill a few minutes when you need it! Happy holidays! 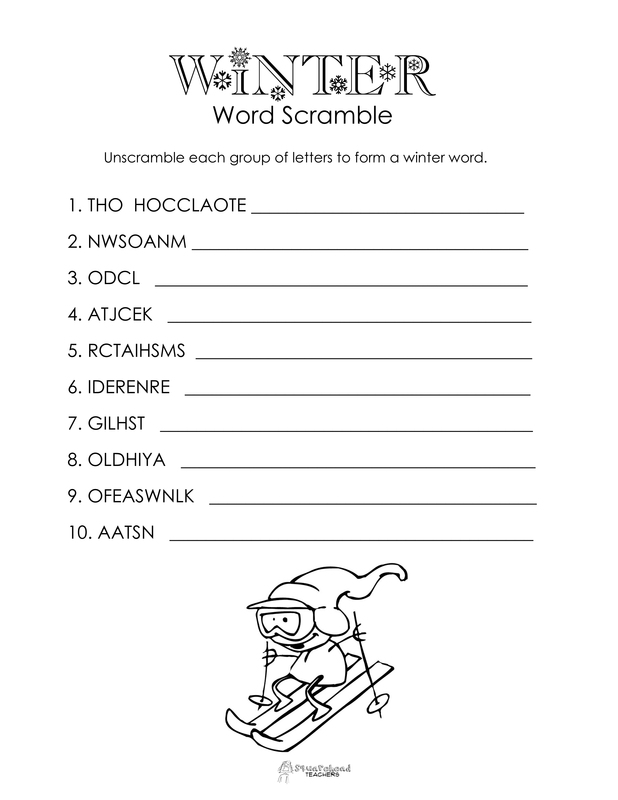 This entry was posted in Christmas/Winter and tagged Children, Education, Elementary School, Kids, Teacher Resources, Teachers, Teaching, word scramble by Squarehead Teachers. Bookmark the permalink.